The history of biometric technology dates back as far as 1891. A man named Juan Vucetich, who was from Argentina, came up with the idea of cataloguing fingerprints into a database for experimental and research purposes. Originally designed for government use, biometric technology did not come into the consumer market until around two decades ago. It was with this technology being introduced to consumers that people began to worry whether or not tracking people’s fingerprints and having databases consisting of personal information about people was a good idea or not. There has been much debate over whether or not biometric technologies necessary and if it is safe to have these massive databases loaded with people’s identities and other physical characteristics. Long before the introduction to everyday consumers, biometric technology was thought to be some kind of science fiction hoax. One of the main motivations to having biometric technology in everyday life is to incorporate the ease-of-use that comes with biometrics. It is without a doubt the easiest way for security officers to make proper decisions on whether somebody is eligible to enter an establishment or to allow someone to ride on an airplane. Throughout the world, many countries are opting for biometrics to make places like airports and other venues that require strict security more secure. The are finding biometric technology to be much more reliable, much faster and safer to use over conventional security methods. 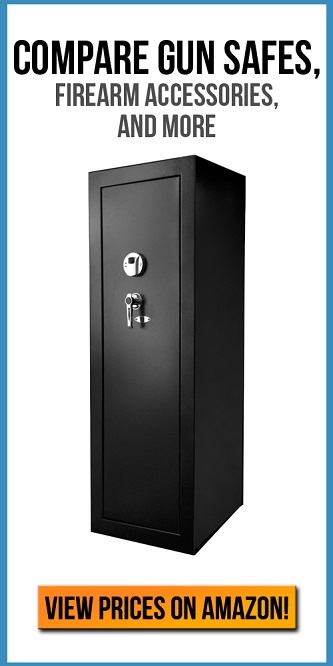 One of the main uses over in the United States right now is gun safes that have biometric capabilities. Over in India, there is a current national ID program that already has over 550 million Indian people enrolled. This is the biggest database of biometric data in the entire world. The project is formally known as Aadhaar in the specific project has already delivered well over 480 million ID numbers. The information that is stored in the database includes names, numbers, addresses, and ages. This helps for quick and easy identification, as well it helps the citizens keep organized and always ready to access their own data. Aadhaar aims to have every single Indian citizen documented in the next several years. There are currently over 1.3 billion Indians living in India, so this is a very large task. Other first world countries like the United States, Canada, and the United Kingdom have been using biometric technology in airport security for a while now. Police forces have long used biometric data to identify potential criminals and have made the effort to keep a large database on the citizen’s data to ensure they are keeping the citizens they are out to protect safe. This is often a concern for people who are worried about their privacy data being breached and spread around to unauthorized people, but it is a rare thing to have these massive databases breached. Companies like Apple, HP, and Dell, have all incorporated biometric technology into their products. One of the most notable uses for biometrics is in the Apple iPhone 5S which uses a fingerprint scanner. The fingerprint scanner on the Apple iPhone 5S has allowed people to unlock their phone without having to type in the passcode. This this makes getting into your personal iPhone a lot easier because no longer do you have to remember passcode, the only thing you have to remember is where to put your finger. Systems like Xbox which is made by Microsoft, use vocal recognition. Xbox Kinect is a well-known product created by Microsoft. Specifically the Xbox development team, that users can use to control their Xbox using simple vocal commands. Automotive companies also take the initiative to implement biometric technology into their vehicles. You have probably heard about people unlocking their vehicles with a single swipe of their fingerprint. This is created some major problems because thieves will specifically target people with the idea of getting their fingerprint so that they can still their car. However, this only happens in countries with weaker police forces and less security. It is something that almost never happens in any kind of country with state-of-the-art security. Today, many billion-dollar companies are trying to use biometric technology to increase customer friendliness and make their company’s overall more efficient. Security can be very expensive, and if these companies are able to break it down and make it a very simple process while saving money, you can be assured that they are going to pursue these new technologies. As far as people who are afraid of their data or privacy being breached by potential hackers or by carelessness on the company’s part, there is not much to worry about. At this point in human history, most people cannot do much with a single fingerprint other than unlocking anything that has been set by that specific fingerprint. Maybe in the future, there will be bigger issues related to data breaches with biometrics, but as of right now, it is not much to worry about.